This house at The Cliffs in Six Mile, South Carolina is as solid as it is beautiful. It features sawn timbers from a North Carolina mountain mill and design construction by Cabin Creek Timberframes of Franklin, NC. 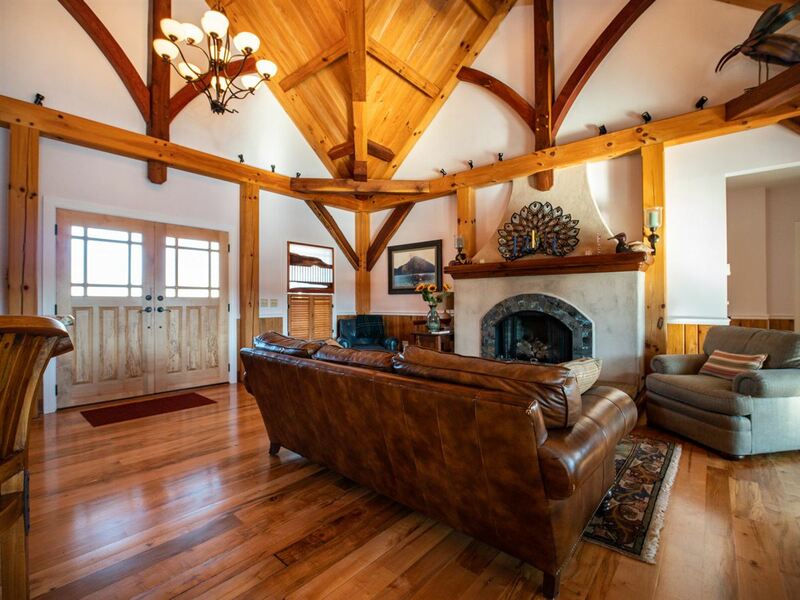 The list of exotic woods used in the timbers, paneling, flooring, molding, trim vanities, cabinetry and bedroom furniture include white pine, cypress, cherry, walnut, ambrosia maple, butternut, aromatic cedar, and mahogany. The home is comprised of 2 living levels that can be used together or independently, as they are accessible from the outside–or inside via the home elevator. This allows one large family (or even 2 families) to utilize the home simultaneously. 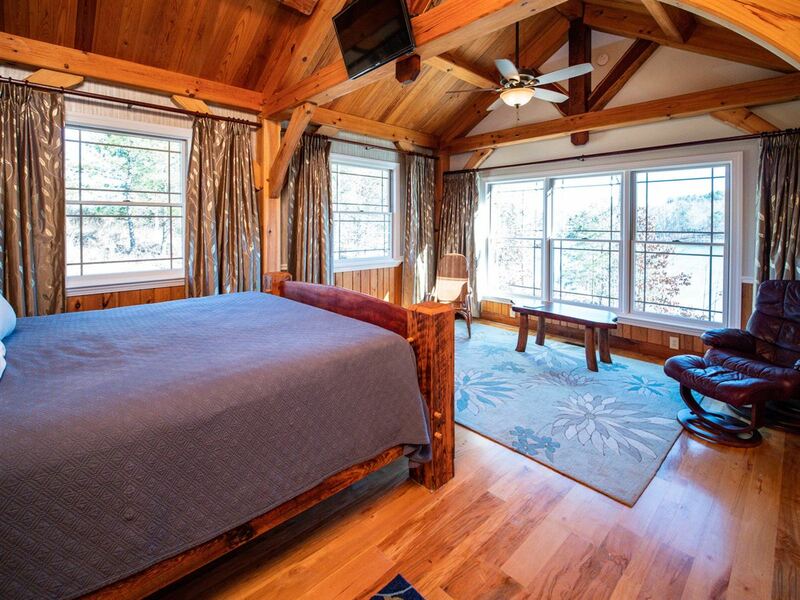 Both levels have multiple bedrooms, bathrooms, kitchen facilities, and laundry accommodations. 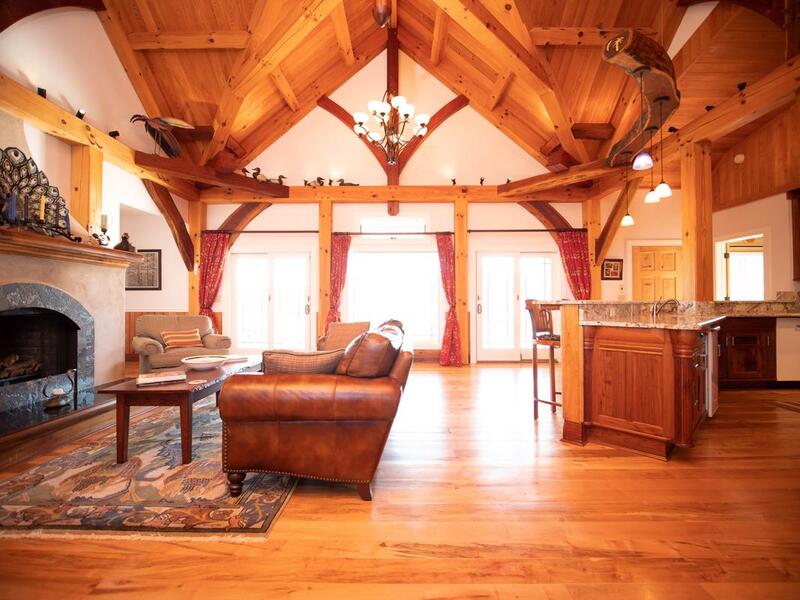 The main level has a balance of massive timbers, bracing beams, rafters, and deck ceilings complimented by paneling, flooring, and hand fitted molding. 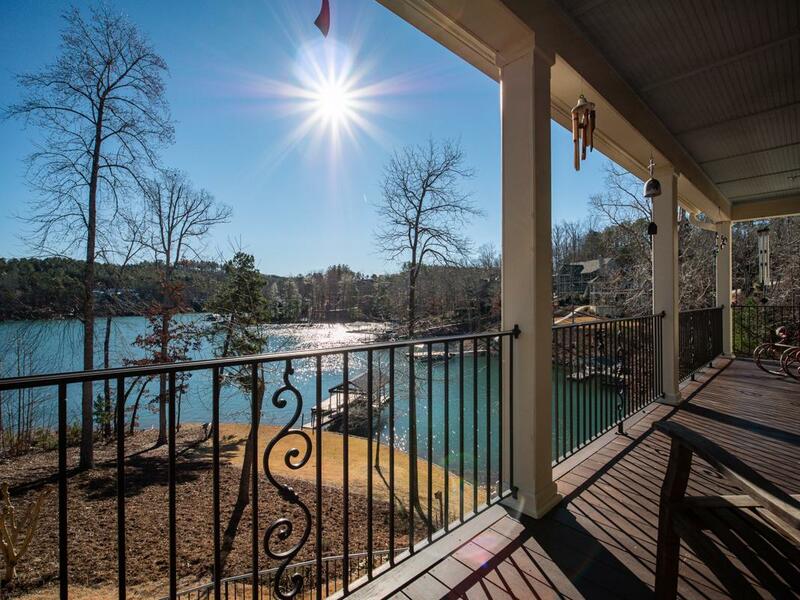 The open living room provides a comfortable space to relax by the fireplace or gaze over the sweeping Lake Keowee vista. 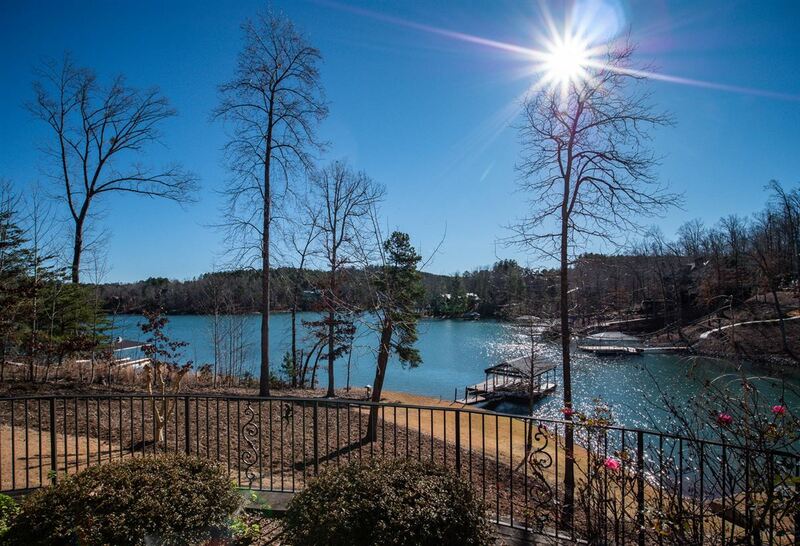 This level also affords expansive, open water views from the covered deck, the main living area, the spacious master suite, and a lakefront bedroom. A stylish, professional kitchen with a breakfast bar has deep walnut cabinets, a natural gas GE Monogram range, ice maker, pantry, and ample prep space please the best of cooks. 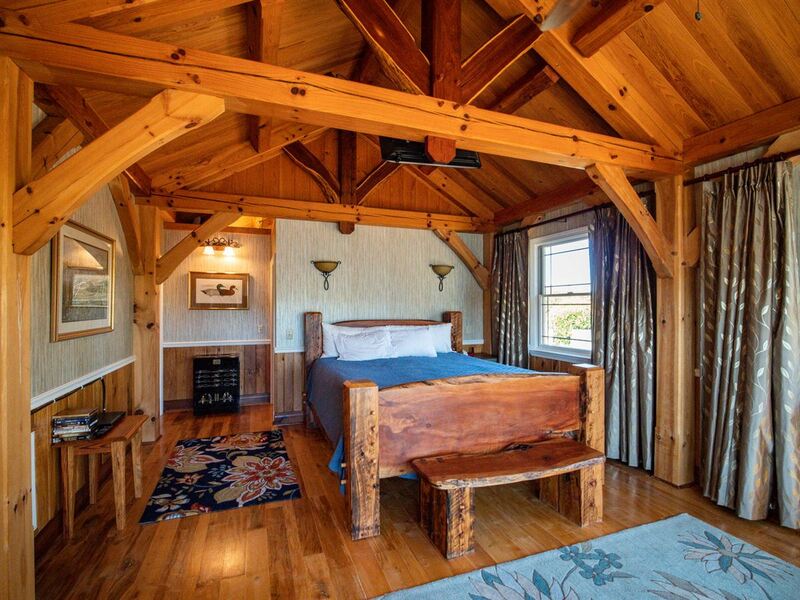 Each of the 3 main level bedrooms have walk-in cedar closets and bathrooms with handmade mahogany vanities. The bath in the master suite includes a luxury steam shower, Jacuzzi whirlpool, and a four-person sauna. The walkout level is bright, open, and has beautiful views. 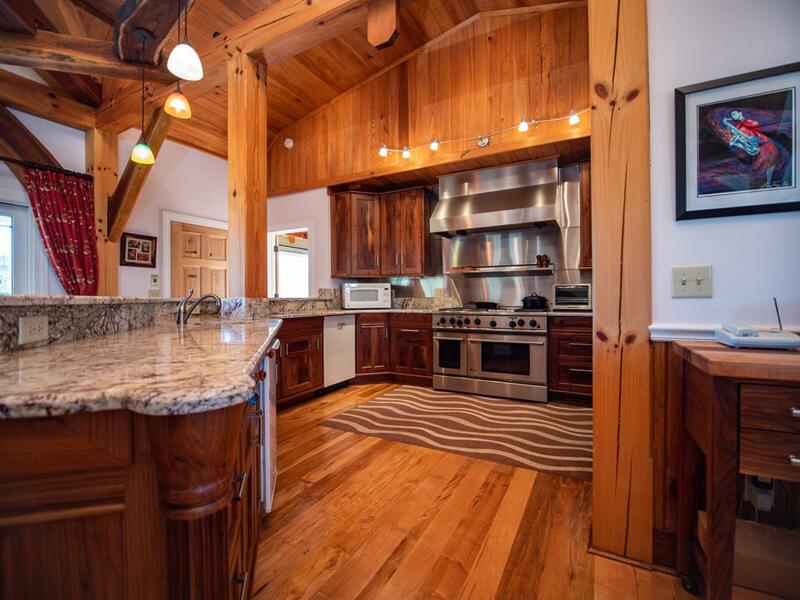 Two lakeside bedrooms, 2 full baths, and a den/bunk/flex room round out the lower level. Outside is a flagstone patio perfect for your favorite rocker and outdoor furniture. The lot offers water that is 18’+ deep at the dock and approximately 219 feet of sea-walled shoreline with built-in steps to the water. 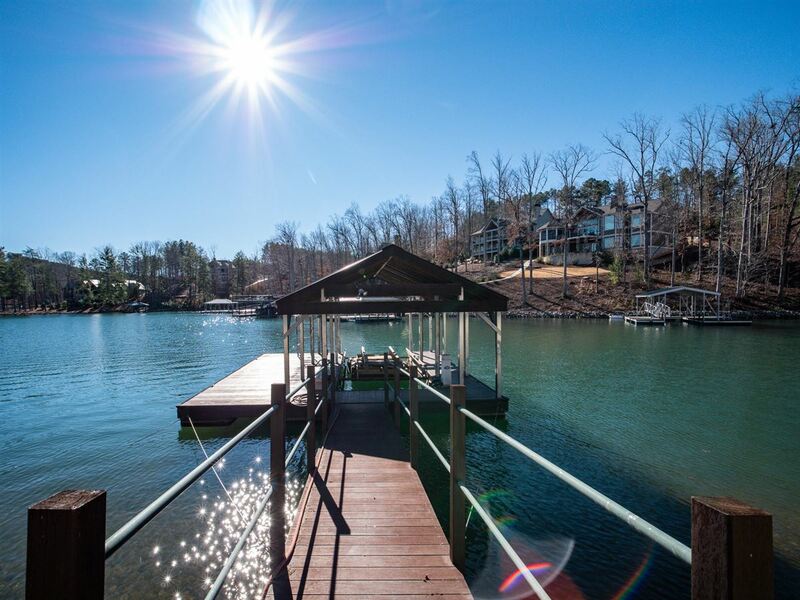 The covered dock has ironwood decking, power, water and a boat lift. Cliffs Springs also offers dining, championship Fazio golf, and a beach club that, ordinarily, would not be available to outside residents. With the purchase of this home, the seller will include Lot 40 located in the Turtlehead subdivision. This ownership will enable future membership in the Cliffs Community at any desired level. 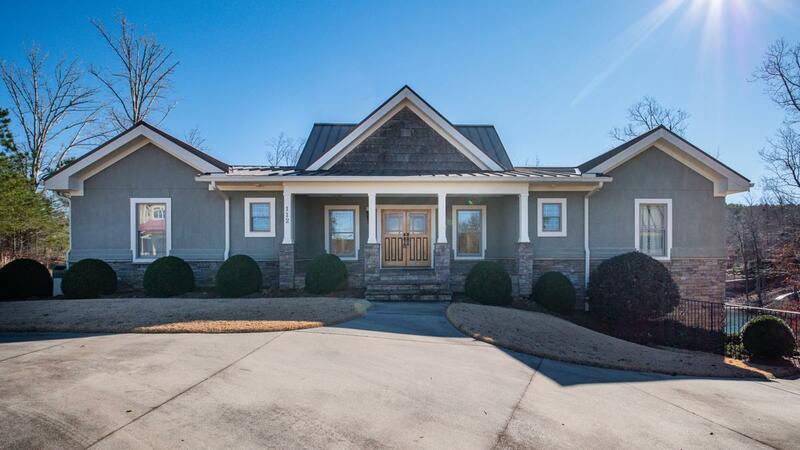 This home is listed for $1.299 million with Allen Tate Company, an affiliate of Luxury Portfolio International®.